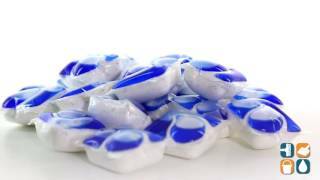 Cascade provides you with some of the most well-known dishwashing detergent on the market. These Cascade Dishwasher Detergent 2-in-1 Action Pacs provide scrubbing action plus grease cutting power in an easy to load, single use pouch. 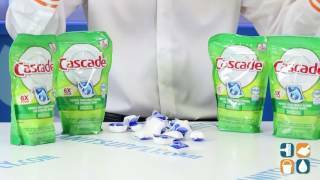 The Cascade Action Pacs combine the power and effectiveness of both liquid and powder detergent to provide excellent shine and stain removal. This trusted brand of detergent is available in Cascade’s luxurious original scent that consumers love. In this Carton you will be receiving five bags of 20 Cascade dishwasher pacs at a tremendous price, allowing you to save money while stocking up. If you are shopping for dishwasher detergent in bulk at a wholesale price, take advantage of this deal right here on CleanItSupply.com.